Greeted by our hostess with a refreshing cool towel & guava shot on arrival. Relax your mind body and soul with a 15 minute spa foot ritual followed by an indulgent 45 minute full body massage, delivered to you by the expert therapists at the Essence of Fiji Rejuvenation Centre. This world class Transit Lounge is the ideal location to relax & unwind pre/post flights & hotel check-in. This package conveniently includes: FREE Nadi Airport transfers and use of the facilities FREE Wi-Fi, movie room with bean bags, luggage storage, showers, lockers, in-house flight schedule screen & 10% off café items & Essence of Fiji & Nama of Fiji Skincare. Price Includes: 45 minute massage, 15 minute foot ritual, transport to / from Nadi Airport (hotel transfers are available at an additional cost), 6 hours use of the facilities. Location: 5 minutes drive from Nadi Airport. Please Note: Minimum numbers apply, bookings confirmed with 2 persons, smaller bookings wait-listed to confirm. Steve, Porte and Sisi were so remarkable to me and my friend Frankie!! We were picked up from the airport on time and the 15 min foot massage and 45 minute full body massage was exactly what we needed before & after our 12 hour flight!! WHAT A WAY TO FINISH A VACATION! !👍🏽✈️ I strongly recommend this facility to everyone arriving into and departing from Nadi Fiji!! Oh yeah, the food and gift store are Excellent! Not the best massage although is good place if you need to spend some time between flights. 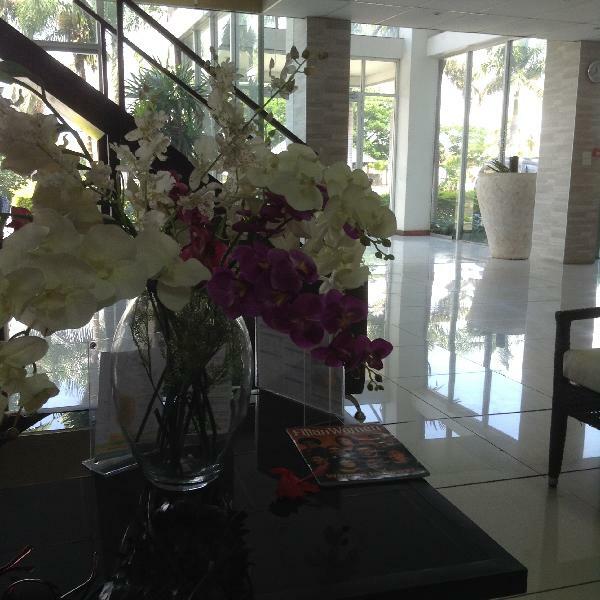 Your message has been sent to Essence of Fiji Spa - 45 Minute Massage + 15 Min Foot Ritual. You should hear from them shortly. Please note: all responses will come directly from Essence of Fiji Spa - 45 Minute Massage + 15 Min Foot Ritual, and not the team at Bookme.